This weekend, your friendly neighborhood Spiderman swung into theaters with the sequel to The Amazing Spider-Man series. So how did it compare to the competition? It may not be Captain America 2: The Winter Soldier, but this movie definitely has the action, humor and emotional depth to make it one of the greatest Spider-man movies yet. Andrew Garfield is an amazing Spiderman! There I said it. He is exponentially better than Tobey Maquire’s version. Garfield perfectly embodies the wise-cracking, intelligent Peter Parker of the comics. I forgot how many times I found myself laughing at his snarky comments. Emma Stone also returns as Peter Parker’s love Gwen Stacey. Spiderman might save her life once or twice, but don’t for a second think of her as a damsel in distress. Emma’s performance is simply amazing and – despite not being the title character – sometimes stands as Spider-Man’s equal. Jamie Foxx joins the cast as Max/Electro, a poor OsCorp worker turned villain who just wants to be remembered. And considering Foxx’s portrayal of him, we’ll certainly remember Max. For such and outlandish villain, you’d assume there’s be some humor – and there is a little – but the true force of Foxx’s character is everything else. From thinking ‘Oh my God, he’s crazy’ to feeling sorry for him, you feel everything Foxx throws at you. In many ways, Electro is less of a villain and more of an anti-hero. As amazing as Garfield and Stone are as Peter Parker and Gwen Stacy, there is one thing more amazing: their chemistry. Sometimes in movies – especially superhero flicks – romantic interests seem forced and unrealistic outside of the story. Garfield and Stone have no problem with that in this film. It probably has to do with the fact that they’re dating in real life, but they’re dynamic in the film is just perfect. On and off screen these two are definitely a power couple. I will say at times the story feels a little packed. There are several very important story threads going on and at times it seems like a you just scratch the surface of an additional one. As you learned from the trailers, the Parker family is certainly one of the main story points, but at times it seems like there’s a lot more to tell – or doesn’t have that much impact on things right now. The key word is ‘right now’. Peter’s search into his family history is important, but I have a feeling it will be fully flushed out in the follow-up films. As I mentioned in previous articles, one thing that worried me about this film was there being too many villains. The last time we saw 3 major villains in one movie, it was Spiderman 3 – and I’d rather not go into how cringe-worthy that movie was. Thankfully The Amazing Spider-Man 2 solves this problem beautifully. The reasons for Electro and the Green Goblin teaming up is actually quite deep and makes tremendous sense. As for Rhino’s role, it might be a bit rushed, but it sets up perfectly for the next installment – whether that be The Amazing Spiderman 3 or The Sinister Six remains to be seen. 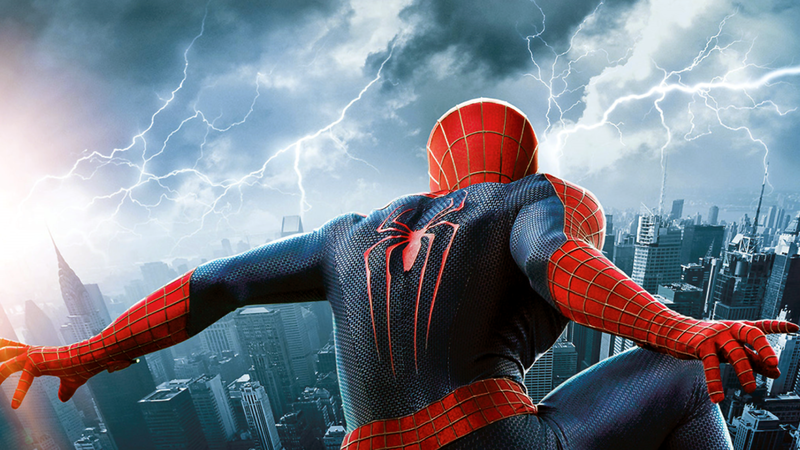 Overall The Amazing Spider-Man 2 is a great film. It is in no way the powerhouse that Captain America 2: The Winter Soldier was, but it isn’t fair to make that comparison. This is still an amazing movie that warrants a watch or two. Between great acting, stellar action, Spidey humor, and a central theme woven beautifully through out, you owe it to yourself to see this film.